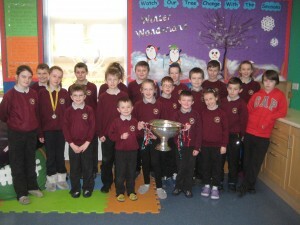 The Nicky Rackard Cup visits Glencorrib N.S. 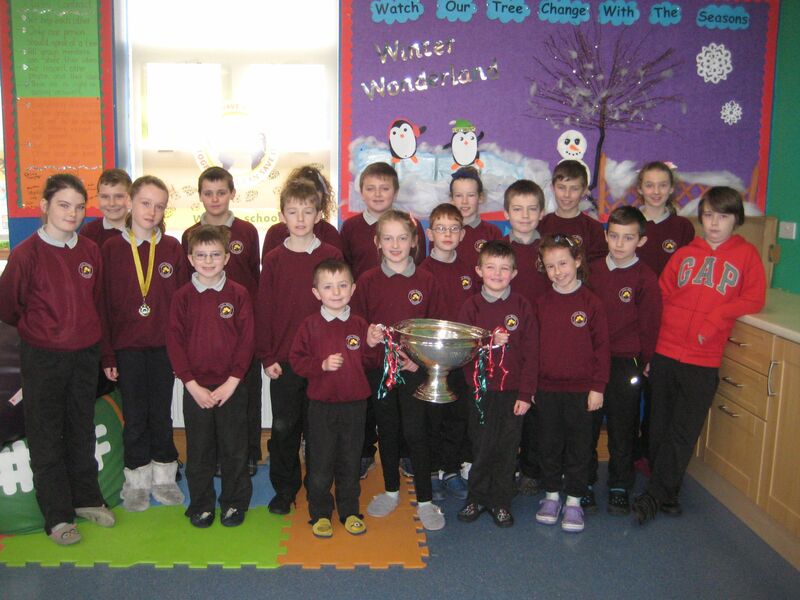 Yesterday, Adrian Hession (the Hurling Officer for Mayo Cuman na mBunscoil) visited our school with the Nicky Rackard cup. 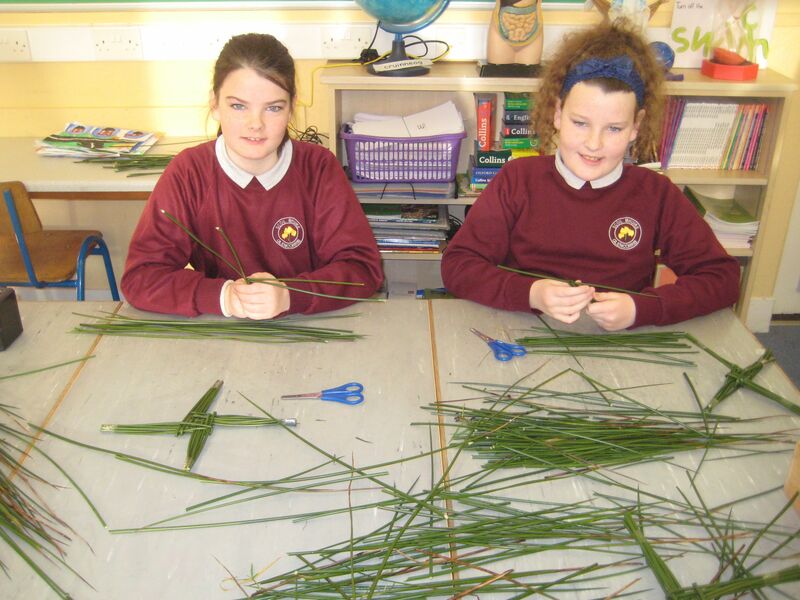 The Nicky Rackard cup is the third-highest senior inter-county championship overall in hurling. Mayo hurlers are the current champions of this fantastic title after their superb win over Armagh last June. 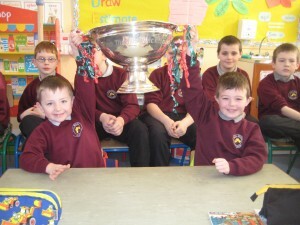 We were delighted to have had an opportunity to not only see, but raise the cup here in our school! 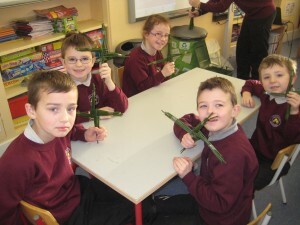 Adrian also showed us the highlights of the final against Armagh. 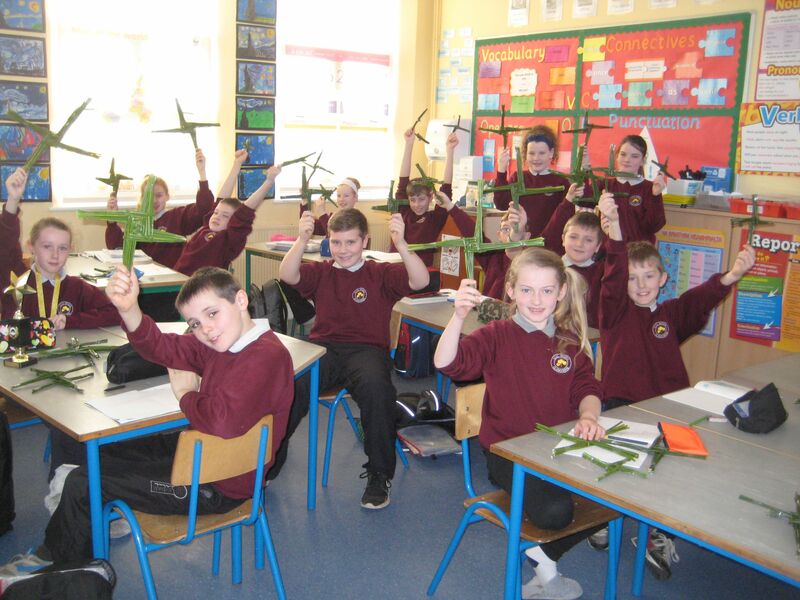 It was like being in Croke Park as we cheered for every Mayo score! 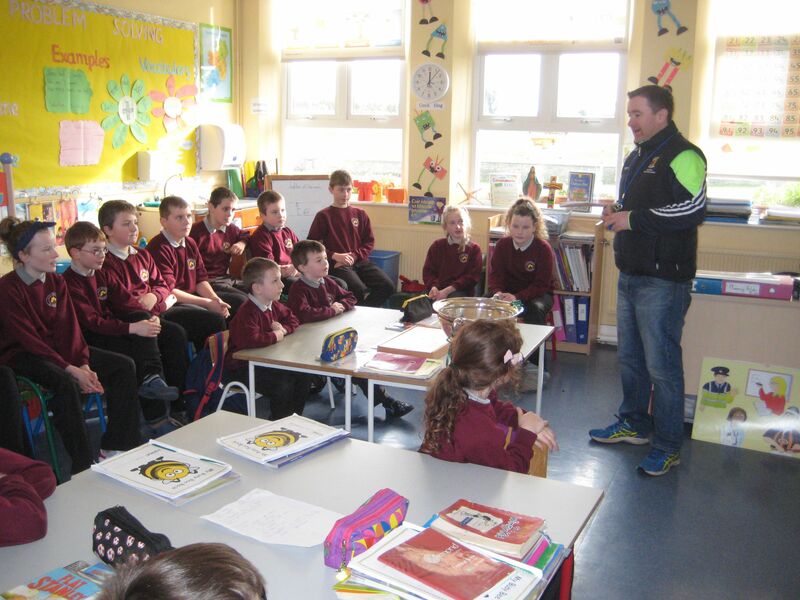 Adrian spent a little while demonstrating some hurling techniques and he really encouraged us to get involved in the sport. 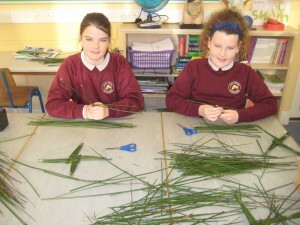 Watch this space for some future Glencorrib hurlers! 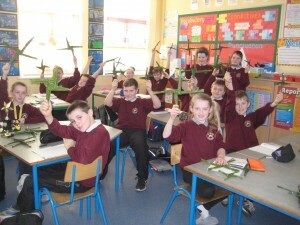 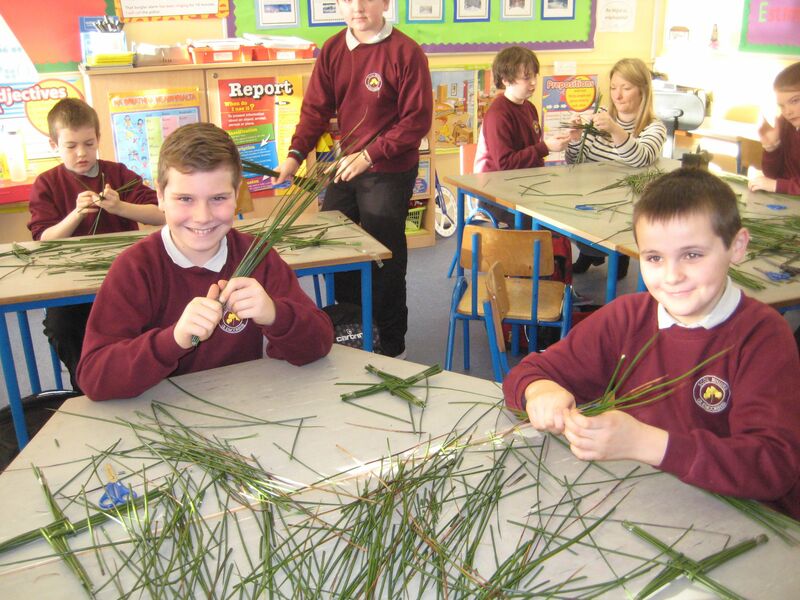 We have had a very busy morning in school making St. Brigid’s Day crosses. We were very impressed with all our pupils today as everyone from both the junior and senior rooms were able to make their own cross. Have a look at some of our pictures from this morning! 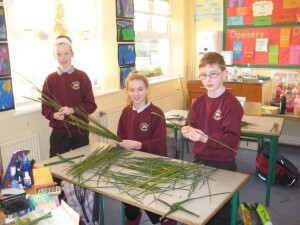 This month we have chosen Chloe as our ‘Student of the Month’. 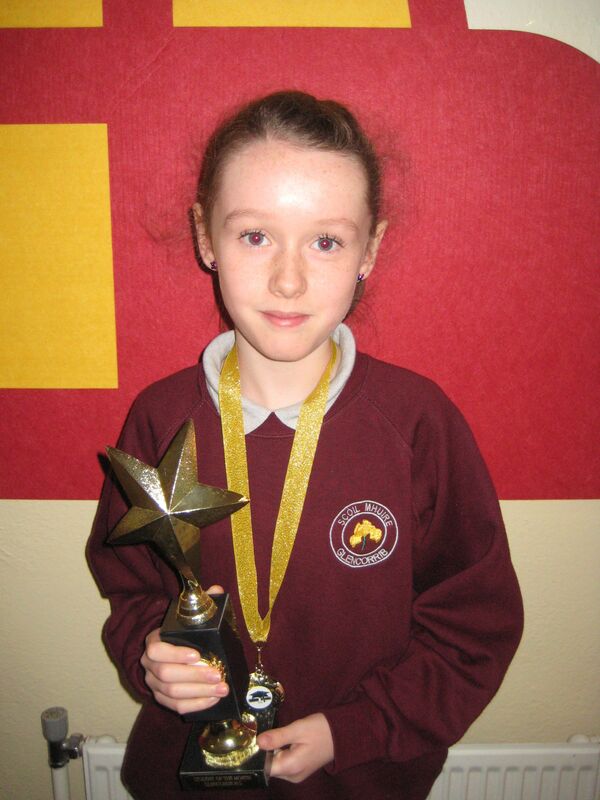 Chloe received a medal for her wonderful achievement and was presented with the ‘Student of the Month’ trophy which she will display on her desk for the month of February. Congratulations and well done to Chloe on her well deserved award!